So I told them it was a Network issue and if they need, I can send one of our Network support people or they can call their own (which I prefer). Somehow, their Network guy was not available to come right away so this customer elected to look locally for a network person for their Canon image runner 3570. They found a company in Melville Long Island . You know me by now and I do not like mentioning names of companies even though I should. These crooks came in, spent an hour there, charged the customer $130.00 and lied to them and stated that the machine needed a new “memory board” to fix this machine at a cost of $2,000.00!!!!!!!!!!! They said it was not worth it and by the end of the day, they submitted three proposals for new equipment. That was a heck of a $2000.00 board these crooks said it needed! I really want to say the name of this company since I googled them and saw a bunch of positive feedback on their website. Obviously this feedback is fake knowing how low they are. They use “EXPERTS” in their name, I don’t know what experts they are in, maybe experts in deceiving customers. 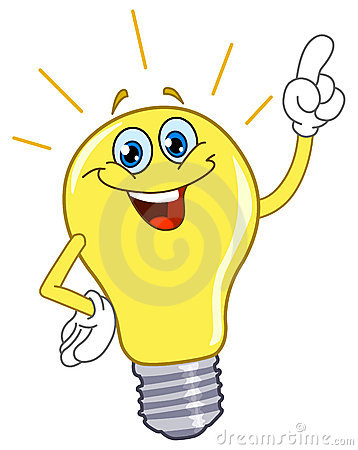 My honest advice to you customers is to get a few quotes and opinions before you make a decision. Unfortunately, like the automotive business, the copier business has become a business of “snake oil salesman” and incompetent, lazy corrupt people. It disgusts me to hear that this still goes on, be careful folks, if you have a dependable honest Copier company and you are happy with their service, even if it is a few dollars more, STAY WITH THEM! Speak to Phil or Peter, we will give you an honest upfront analysis of your equipment. As long as we can get parts for your machine, we will repair it at a fair price! When you purchase a machine new or used from us we give a 6 month warranty, after this period I highly advise going with a service contract. Even though the machine is not that old or was recently refurbished, things can go wrong. Copiers & printers are devices in which as soon as you turn it on, things start to wear. You may get lucky and get a year or two without a service call but this might not be a good way to go about it. If you purchased a new machine and lets say the fuser unit $300.00 which is suppose to last 300k only last 100k, wears out, you are looking at a hefty bill! trust me, I have seen drums and fuser units wear out far less than they are rated. If you had a contract, this would be covered ! Manufactures and the snake oil salesman will try to sell you on the fact that drums and fuser units will last at the manufacture set yields to sell you on low cost per copy but they are often wrong. Only techs who have seen the machines in the field can properly answer that question. With most service contracts priced at a penny a copy for all inclusive, why would you take that chance? PJD Business Machines Rents, Leases, sells outright new and used equipment, we never push hard for you to take out agreements, but we highly advise it. Some customers do not want to deal with leasing, they do not want to be tied into a leasing company and they rather just purchase the copier outright and pay for service when it is needed. Although I do recommend a contract with a highly complex piece of equipment such as a Multi functional copier but if you don’t, I really have nothing terrible against it. So, which copier is the is best and why? Lets say you are in the search for a 30-35 CPM machine. The best hands down would be Copystar, I am not saying that because I really like them but stating this because it is what it is! The Copystar CS3010 has a maintenance interval of 600K!, what does this mean in plain English? The Copystar will not need drums, developer, fuser units for 600k! lets say they do not make that yield like ALL manufactures suggest, and I mean ALL! lets say the drums last you half that, still 300k before a drum change! that is amazing! A Canon copier in this copy range will need drum replacement every 75k, to many in this range, that is once a year, so count on once a year on having a big expense. Good machines but a little needy. Ricoh copiers is the same, count on every 60k a drum replacement along with developer and shortly after a fuser unit overhaul. Good machines but VERY needy. I just have you a tip, I am not a snake oil salesman but a veteran technician and I am sharing with you very good information in my industry. All I ask you to do is bring a calculator and do some Math. Lets do the math here, I went out on a Canon copier service call today for copy quality issues and this is what I found, again, another case of penny wise and dollar foolish. He goes out an buys a Cartridge World toner and puts it in his copier and he is calling in for CQ issues shortly after, this is very common and is the second time this week I have seen this. So lets look at the math here…. where are the savings? these generic cartridges have a very high failure rate, somewhere around 12% on a good reman and worse if the re-manufactures dont know what they are doing. 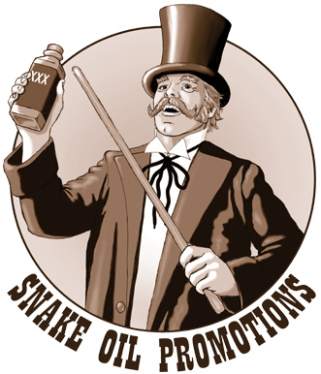 As competition gets more aggressive and as the business world goes more and more into paperless, the snake oil copier salesman gets more desperate. We have discussed overages in the past, in fact not to long ago, but I feel it is important to reiterate this. I went out on two proposals this week alone that the customers was fed up with the overages. When I go out on a call like this I play detective, I am not just another salesman in a three piece suit looking to score his next vacation on your dime, I am a master technician of more than 26 years, I also have a very good personality and am honest and trustworthy. I will visit your site, I will physically go to your copier/printer and print out the usage counters and sit down with you and show you what you do as far as copying and printing, we will discuss your future copying/printing and then, I will be able to pinpoint an accurate calculation of your yearly/monthly clicks. I am so confident in my system that we will if you go over it,we WILL NOT CHARGE YOU FOR IT!. No other company in this Country will make this bold statement! I know the business well and am confident of my numbers. Call us today for a free quote, we are Long Islands Copier Company, we can take your business to the next level and save you money. Now this is the trick that the snake oil salesmans do NOT want you to find out ! I have mentioned it at least two times in prior blogs and I ran across it twice this week alone! With competition this fierce in a stagnant economy, at least in New York, Long Island it is…. The salesman will do everything and anything to make a sale, he/she wants to go on vacation badly and his wife is due for a new Lexis ;-), they are purposely going in and under estimating your volume!, this in return will give you a lower lease/contract price, they do not do this to everyone, just the ones who do significant volume. After you sign the lease or the contract that clearly says OVERAGES ARE TO BE BILLED AT .0125, that’s it, you signed and are bind to that! This in return can be thousands of dollars a year!, not hundreds but thousands! Some readers have said to me in the past, “aren’t you a little harsh on the copier salesman”, I am not saying all salesman are snake oil salesman, not at all, but I have seen a lot in action, every week when we go out on calls we hear the horror stories and I am sick of it, I am sick of dishonest people ruining the business, I do not like corruption and I see it in the copier sales business. Bottom line here folks, if you are getting bills for overages and it is happening more then once and you know nothing unusual has happened to reflect an increase like this, then you need to open your eyes. It is not that hard folks, all machines have counters/meters, divide that by how many months you have your machine, it is as simple as that!! This is true and I will explain how this works in the Copier service business on Long Island. Sometimes being too frugal will haunt you. If you hire a cheap painter, you will get cheap quality work, if you hire a cheap tile guy, you will also get less than perfect work This goes the same in an industry or work for hire. I am not saying use the very highest estimate or repair work to be done but going with the cheapest estimate is asking for trouble! If you are getting estimates on a copier repair job or a yearly maintenance agreement or even a new machine, you need to do your homework! Unless you like constant breakdowns and waiting two weeks for service and another week for parts to come in. This is what happens when you go cheap, the technician or company will NOT install the right parts or more over, the Genuine OEM parts for your equipment, I see this all the time, Canon copiers, Kyocera Copiers, HP laserjet printers, I see this and I try to educate the customer on this. Here is why I am writing this, I just picked up a customer, a church in fact, they were not happy with the cost of the service contract for their Copystar copier, they felt they were paying too much so they started searching for the magic technician to help them, the church was doing around 75k a year and wanted an ALL INCLUSIVE AGREEMENT, this includes ALL but paper and staples. They were paying $1150.00 for the copier contract with a big Long Island Service Company, the new company/technician offered them $450.00 for an all inclusive contract, they went for it, they are now so disgusted with the break downs and service of this local long island company that they called us in to evaluate the situation, how can anyone offer an all inclusive contract to a business doing 75k a year for $450.00?? Industry standard is around $950.00, remember, it includes toner,drums,pms. Yea, you guest it, it is impossible to do! He/they were using generic toner, generic parts and the machine failed miserable, the guy who offered them the contract actually was getting annoyed at the church for calling in so much, is this not comical? I cant believe that there are business conducting like this on Long Island or anywhere else for that matter. I am able to help them and we will be entering a contract soon but it is going to cost them now to get the machine up to snuff and to issue a contract at a realistic price. I write these post will personal experience, I want you as the customer to see by example what you should expect in the copier business. I am here to help YOU, I will give honest answers in the business I have been in for 26 years. I will never mention the names of the companies and people who disgrace this business but I will warn you that they are out there, they are good salesman and will tell you what you want to hear and more particularly, they will tell you the PRICE you want to hear, BUYER BEWARE! If you need anything at all please call us, we are Long Islands Copier Service Company, let us take your business to the next level!